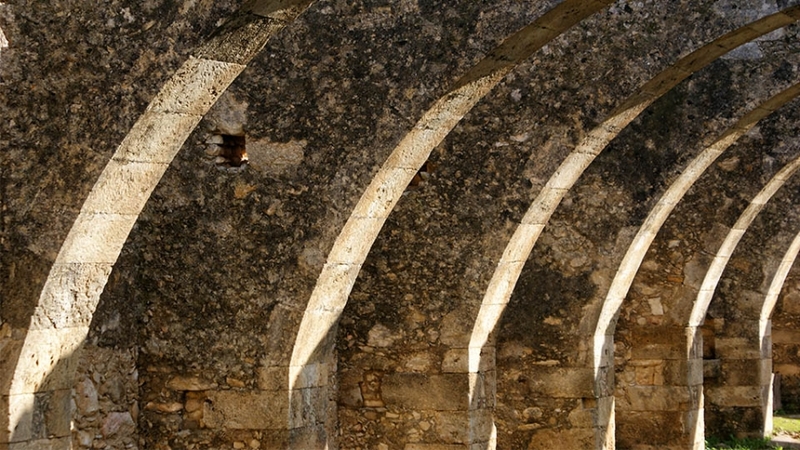 Twelve impressive arches lined up next to each other and bring you … dizzy! 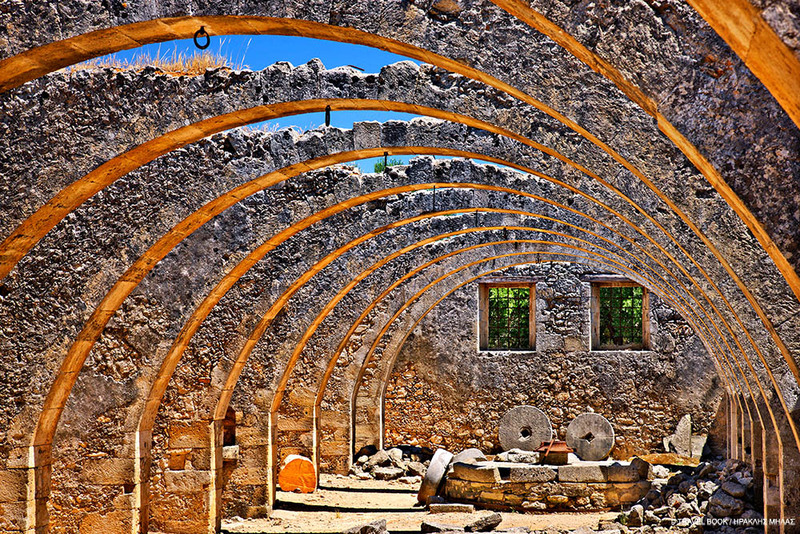 The arches are part of the marvelous mill of the monastery of St. George in Walnut Apokoronas, built in 1860 after the license for exploitation of olive given in 1829 by the Turkish governor of Crete, Natli Mustafa Pasha. However things were not always so good for the historic monastery. 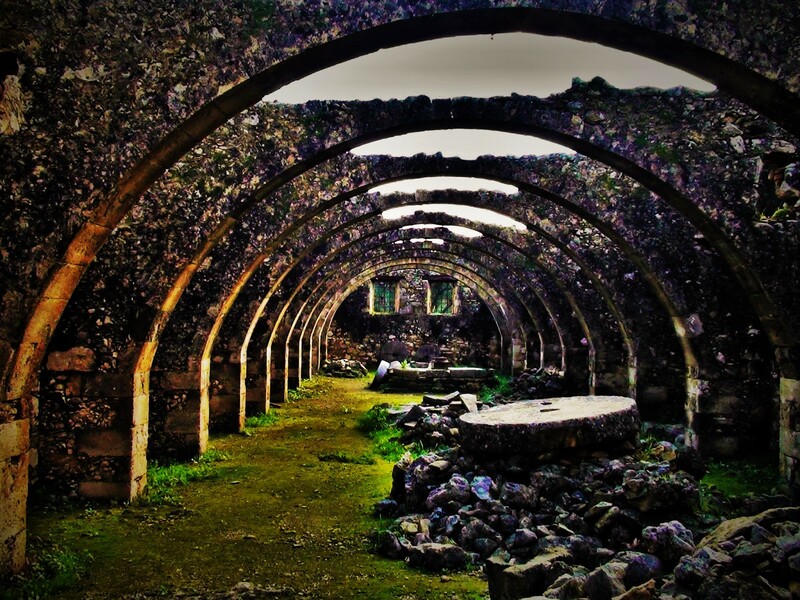 Built before 1600 given by the Turkish occupation the monastery Trinity Tsagarolon, which is resisting paying tax prevented its conversion into a mosque. Excellent phase, however, seems to enjoy today. Restored the last decade working again and meticulously cared for by her father Dorotheus.